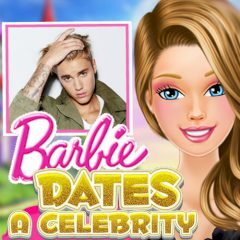 Barbie is so popular, that even the most famous guys are trying to get her on a date. Who are you going to choose? Pick a guy and match his expectations. Barbie will never date a simple guy, because they don't attract her. If you are a successful celebrity with stunning appearance, then you have chances, otherwise you don't. For now, there are three guys who struggle to get her on a date. Help Barbie to choose one and prepare for the evening!